Walking Distance to Dining, Shopping and Entertainment off Park Rd. We love your furry friends and have amenities designed just for them! We welcome 2 pets per apartment home. Please contact leasing office for complete details on pet fees and breed restrictions. Parking Comment: Surface lot available. Please contact leasing office for complete details. 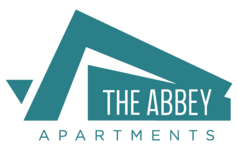 The Abbey is a great place to retreat and unwind, while also being walking distance to the Park Road Shopping Center and all that Montford Drive has to offer. From our lush green central park area to our tranquil hammock garden, to the poolside lounges, our community offers residents plenty of ways to unplug and unfetter their lives amidst the tree shade and bird chirping of Madison Park.